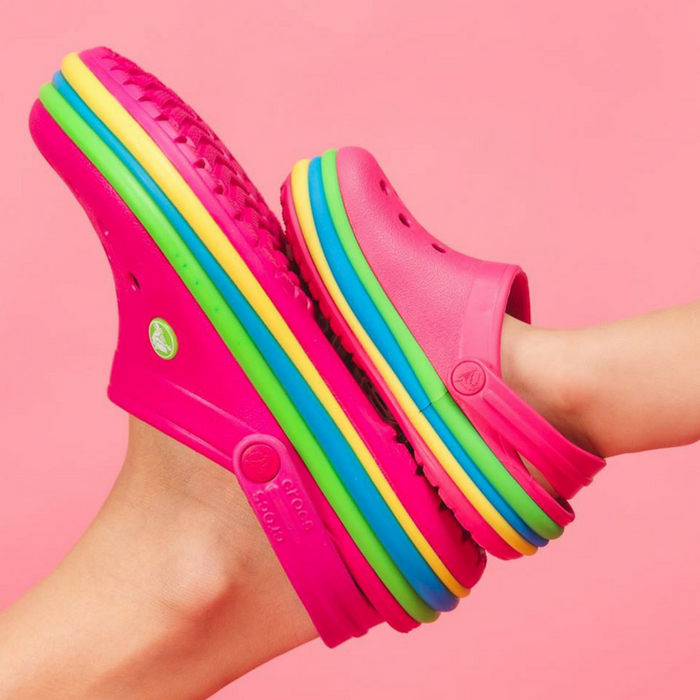 Buy One, Get One 50% Off On All Clogs, Flip Flops, Slides, And Sandals At Crocs.com! You are here: Home / Great Deals / Buy One, Get One 50% Off On All Clogs, Flip Flops, Slides, And Sandals! Buy One, Get One 50% Off On All Clogs, Flip Flops, Slides, And Sandals! UNTIL MONDAY ONLY! 5/14/18 Don’t miss this Sale of the Season! Buy one pair, get one pair 50% off on all Crocs Clogs, Flip Flops, Slides, and Sandals at Crocs.com! Plus, shipping is FREE for orders over $24.99! Lots of styles in Women, Men, Boys, and Girls. Check out this great deal now!